3D Coral Foam Prop - Dino Rentos Studios, INC. 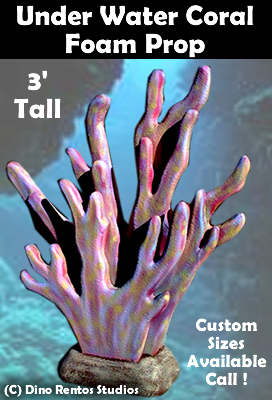 This self-standing foam coral 3D prop is 36" tall. Painted bright sea colors and ready to use out of the box. Fully hard coated for durability. Call us for custom versions.